Leading composite veneers dentist in Brisbane, Dr. James Malouf will be sure to impress you with a new smile makeover that will keep you smiling for life. 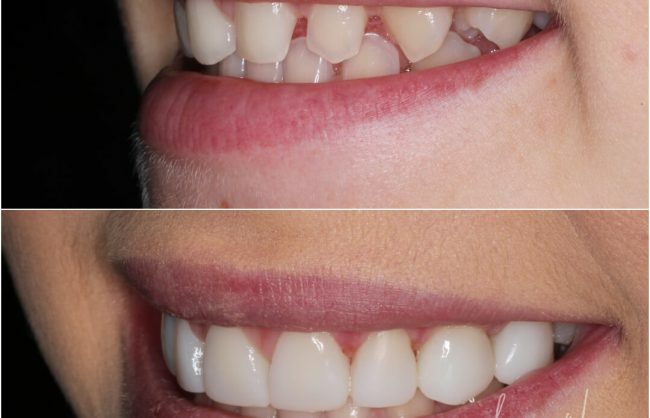 Leading Brisbane cosmetic dentist, Dr. James Malouf has developed a solid reputation improving smiles using composite veneers as one of his dental veneer treatment options. Dr. Malouf has advanced training in cosmetic dental veneers, years of dentistry experience, unique high quality accreditations and continuing education in the field of aesthetic dentistry. As a result, he has gained the trust of many including celebrities and beauty bloggers. Dr. Malouf is especially known for his friendly and relaxed nature which helps his patients feel at ease with most cosmetic procedures. When speaking to Dr. Malouf during your initial consultation with him, he will recommend the most suitable cosmetic dental treatment for you and provide you with a high level of detailed knowledge about the procedures, what to expect, costings and time frames. After the initial consultation, you will feel very informed and be in a position to make an informed decision without any obligation. 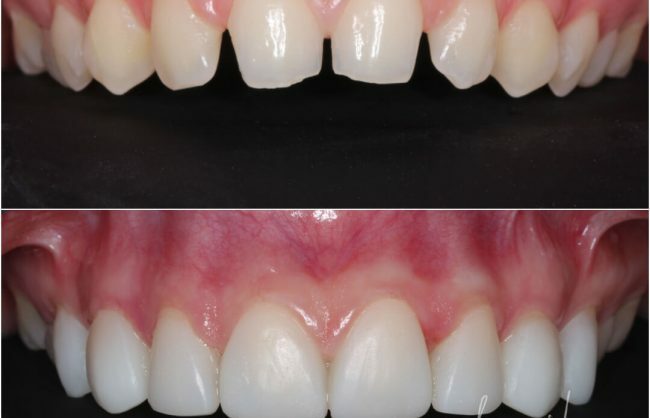 Dr. Malouf’s attention to detail is evident in his Composite Veneers Before and After images. His work is of high quality for his patients and of high standards for himself. He is a perfectionist when it comes to crafting amazing new smiles for his patients that will improve their smiles and self-confidence again. WHAT ARE COMPOSITE VENEERS AND THEIR BENEFITS? 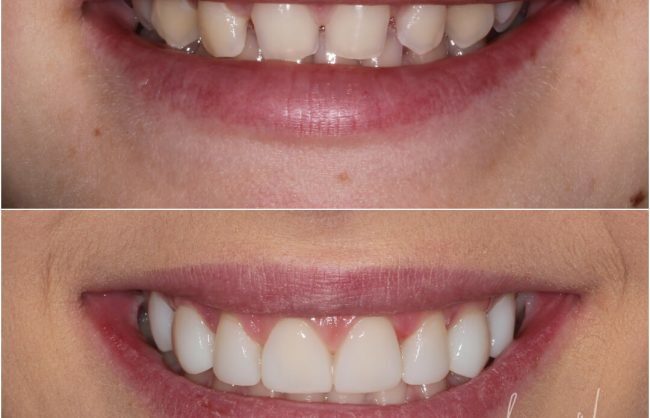 Composite veneers are ideal for some patients. In your initial consultation with Dr. James Malouf, diagnostic images and impressions are taken to assess the patient’s current aesthetic smile, oral health, dental functioning and smile aspirations. Dr. Malouf takes particular interest to ensure that other dental flaws or gum disease are resolved before commencing dental veneer procedures. He will also discuss all options including recommendation with dental veneer options best suited for you. Dr. Malouf will be able to ascertain after your Initial Consultations which dental veneers he would recommend taking into consideration your smile requirements and desires for your smile makeover. Composite veneer costs vary from patient to patient as there are many factors that determine the price of composite veneers. In order to determine what your dental veneer costs will be, you will be required to book a consultation with Dr. James Malouf and attend his cosmetic dentistry practice in Brisbane (Tingalpa). Once the individual assessment is completed, Dr. James Malouf will be able to provide a complete dental veneer treatment plan as well as discuss the dental veneer costs for your consideration. James Malouf has taken the time to provide some composite veneer cost scenarios and approximations based on some the cases he has recently completed. He has labelled them before from simple to complex. If you have any questions relating to these cost scenarios, please contact our cosmetic dental practice, Malouf Dental.